Earlier in 2017, Manzo was renovated and re-opened its doors. Aside from the new stunning aesthetic, Manzo’s Chef Adam Hill now regularly features a variety of wonderful local producers, a vermouth program and much more. 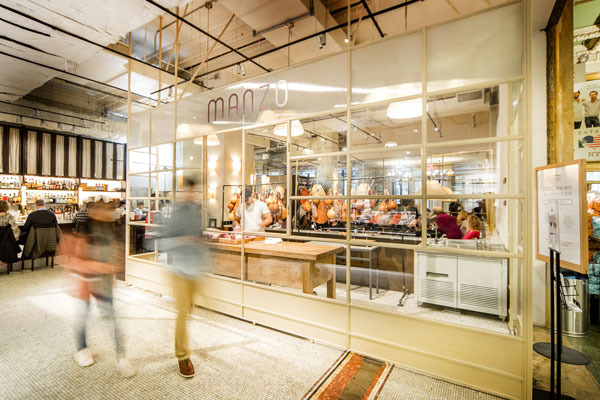 Manzo at Eataly and Chef Adam Hill will partner with one NYC-based chef each month for six months, to create an exclusive dish that will incorporate fresh ingredients from specific local producers that Manzo already works with. The special dish will then remain on the menu for the month’s duration at Manzo within Eataly Flatiron. Producers include Norwich Meadows Farm, Channing Daughters, Raven & Boar, Invincible Summer Farms, and La Quercia. Additionally, a percentage of the proceeds made from the dish will go to the charity of the guest chef’s choice. The second partnership, starting December 1st and running through December 31st, is a collaboration with Chef Michael White of Altamarea Group. White will be featuring a Tortellini in Brodo with La Quercia products and a percentage of the proceeds from his dish will be donated to City Meals. Although White’s dish will be on the menu the whole month of December, chef himself will be cooking at Manzo within Eataly Flatiron and with Chef Adam Hill for dinner service on December 6th, 2017. Manzo encourages New Yorkers to make a reservation at the restaurant for this special evening. On December 6th only, the price of White’s dish will be 50% off and Manzo will double their donation to City Meals for each dish ordered. 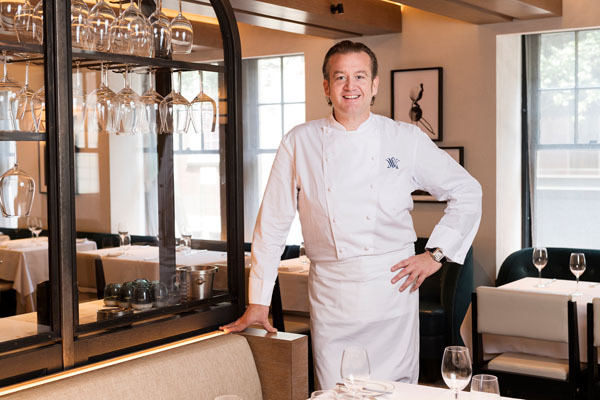 Michael White’s special will be followed by dishes from Junghyn Park, Daniel Boulud, Tim and Nancy Cushman and Janine Booth. Each dish will be announced on the 1st of the month and each month the guest chef will make a special appearance for one night only at Manzo Eataly to cook and serve their creation. Manzo will honor the special price and donation margin for the one night only dinner each month. Founded by Oscar Farinetti, Eataly is the largest artisanal Italian food and wine marketplace in the world. From the opening of the first location in Turin in 2007, the philosophy “Eat. Shop. Learn.” has spread to the rest of the world. Eataly New York Flatiron and Downtown, Boston, and Chicago are a product of the collaboration between Oscar Farinetti and his American partners Mario Batali, Joe and Lidia Bastianich, and Adam and Alex Saper. Meaning “beef” in Italian, Manzo is a casual butcher’s restaurant set aside from our bustling marketplace. True to its name, Manzo celebrates all things meat. At the entrance, a glass-enclosed butcher room offers an inside look at the art of butchery. 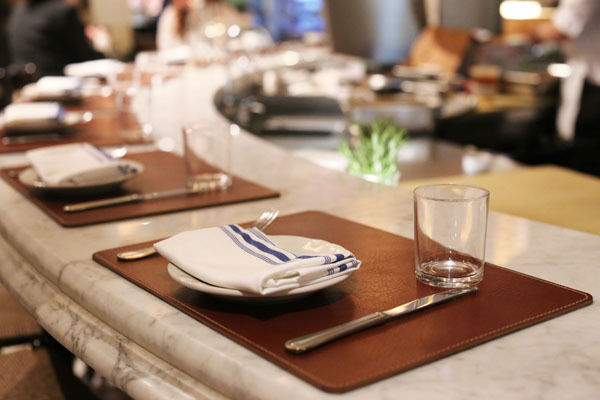 Steps away, the open dining room serves a simple but complete menu, which highlights the best weekly offerings from Eataly’s regional producers in meat, vegetable, and pasta dishes. The expansive bar features an extensive vermouth program.